Safe Travels This Weekend Everyone! This photo was taken during a hike in Arizona - with a view of the road - way, way down below! The Arizona Desert has some of my favorite types of topography and vegetation in the United States. The quote by Doug Larson* (on the top photo of this post) struck me as a good reminder that people should use extra caution while traveling this weekend. Traffic increases during holiday weekends, and drivers may be driving unfamiliar routes or be distracted. Have a fun weekend - and be safe! *Doug Larson was a columnist and editor in Wisconsin. Have you ever been to the desert? Adventures in Germany - Fiction and Fact. Words for Wednesday is a word prompt challenge I have been participating in for the past few months. Up until this week, all of the fiction I have created using these prompts has been published on this blog. This week, I gave myself a time limit of 30 minutes to create a true work of flash fiction, using the words as soon as I saw them. Like many bloggers do, I published my piece immediately in the comments section of the Under the Porch Light blog post, where the words had been supplied. This week's words were: infiltrate, splendid, gastronomic, chipped, dither, tankard. My sister and I in Germany. I'm holding what may be a stein or a tankard, but is probably a mug of beer! What I wrote was a short fiction paragraph that involves beer, a German vacation and an accident. You can view it on the blog Under the Porch Light. Just click on this link, and then look for it in the comment section at the bottom of that blog post. My story is part-way down in the comments: look for a good sized paragraph submitted by Susan F. While there, I encourage you to read the other submissions as well! My word prompt paragraph was totally fictitious. While I was writing it, however, I was reminded of a time when I visited Germany with one of my sisters, during a Eurail pass vacation. While there, I ordered a beer, and paid for the Lowenbrau stein as a souvenir. (I have never loved the taste of beer - so I desired the mug more than the beverage!) Today, I became curious as to whether a beer stein and a tankard are the same thing. I just did a little research on the Internet. Explanations of the terms stein and tankard are varied. One site, suggested that a tankard should be all pewter or all-silver, and both a tankard and a stein have a hinged lid and a handle; a mug has a handle, but never a lid.) Other sites indicated that a stein may or may not have a lid, and a stein must be sufficiently large to be called a tankard. Confused? So am I! While in Germany, (a few decades ago) my sister and I visited the town of Baden-Baden - home of a famous spa and the Black Forest. While there, we bought cuckoo clocks and ate Black Forest Cake. I just found a recipe for "authentic Black Forest Cake" on Food.com that looks fun to try. Baden-Baden, Germany - me at the train station, and a store full of cuckoo clocks! We left Baden-Baden, and then enjoyed sight-seeing in the University town of Heidelberg. A train took us to Mainz; from there we took a five hour cruise of the Rhine Valley, between Mainz and Cologne. (My notes were good in my photo album - or I would never have remembered these details!) We saw many vineyards and beautiful castles. We were served a lunch of "Black Forest Deer Stew" and - of course - glasses of wine made from the grapes of the valley! It was a chilly summer day for a boat ride, but the Rhine Valley was beautiful! We disembarked in Koblenz. The advantage of backpacking: we had all of our belongings with us, so we could just continue on our way through Germany from there! We spent an afternoon in Koblenz, sightseeing and shopping - and my sister and I both bought small Hummel figurines. We boarded an early evening train for Cologne (Köln). We had a wonderful meal of German food and beer in Cologne - the memory of which prompted this post! We felt safe wandering the streets of Cologne until after midnight, admiring the beautiful "Dom" cathedral and the work of the chalk artists. These photos give a glimpse of the beauty we saw, but nothing compares to traveling and actually seeing these wonders yourself. Too broke to afford a hotel, that night we rode a train from Cologne to Koblenz and then back. This is a favorite trick of Eurail backpackers - save money and have a safe place to rest by taking advantage of the train rides all free to owners of a Eurail pass! In the morning, we watched the interesting process of a mail delivery being unloaded at the train station. We then boarded a different train - on to our next country, and more adventures. Do you like to travel by train? I saw the following video on Facebook this week, and there are no words (in any language) that I could add here to make it any more meaningful, or more important. Its message is about making the most of not just our own moments - but the moments of people all around us. I hope you take three minutes (3:01 minutes, to be exact) to watch this clip to the very end. I found the whole thing heartwarming, but there was a particular moment that made my pulse jolt - and then my heart flood with relief. I challenge all of us to perform similar selfless acts of kindness today, and every day. I'm calling the Red Cross today to make an appointment to donate blood. What unexpected benefits have you experienced by helping or being kind to someone else? Back to School ... or Going There For the First Time! The first day of the school year is always an important milestone. Excitement and some fear are common emotions (for students and their parents!) on the first day of preschool - kindergarten - first grade - middle school - high school - and college. The first day of every other grade is significant as well. It is an opportunity for a fresh start after a summer of growth, with all new classes, new teachers, and possibly even new friends as well. The first day of the last year of college has special significance - the last of these firsts! My niece recently wrote on Facebook: "Cheers to my last first day of school." Important milestones should be celebrated and documented. Many families have traditions regarding these firsts. We have some - although if Pinterest had been available when my kids were small, we might have a lot more! I relied heavily on magazines such as Family Fun and Parents for creative ideas. The wealth of information on the Internet now makes it easy to be inspired by many good ideas. On the first morning of every school year, we've taken photos of my kids, before they've headed out the door. - I wish now that I had given them a sign to hold, showing the date and the year of school they were entering. I've always tried to cook a special dinner on the first day of school. - It would have been even more meaningful, had I always cooked the same special menu. I saved special school papers and art work. - I wish instead that I had taken a photo of my child with the art work (which I might have then discarded) and created a scrapbook of photos of their work. This would have created less paper clutter - and I would now have a photo of the child at the age when they produced each piece. We occasionally videotaped on the first day of school. - I wish I had done a short videotaping on the first day of every school year. Growth shows in photos - but children's voices change a lot from year to year. We go back-to-school shopping for clothes before the first day of school every year. - I didn't always realize how quickly the weather would cool off - and should have bought less warm-weather attire, as it was sometimes outgrown before it saw much wear. There is something motivating about new pencils, crayons and school supplies. - Rather than just shop with my children for their own supplies, I wish I had encouraged them to pick out supplies to donate to others in need. With the beginning of school, I always tried to be sure my kids took their daily multi-vitamins and got adequate rest. - In retrospect, I would remember to be sure my kids took their vitamins and got adequate rest. Being back in the classroom means being exposed to lots of germs! On the first days of preschool, we took before pictures - and these after photos to document the day! First Day of College - A Surprise for Mom! Last year my daughter moved to another state for college. Imagine my delight, when on her first morning of classes, she sent me a text that read "the obligatory first day of school photo." It was accompanied by a photo of her taken by a friend, before heading out to her first class! Of course, receiving this text and photo made me cry. I realized something though. All those years of making my children pose before they headed out the door meant something to my kids as well. Family traditions are important. Our school starts (for 10 - 12th grade) on Thursday. I wonder if my son, entering his junior year of high school, will remind me to take his picture before he leaves for school? I highly doubt it, but, like years past, he will humor me when I suggest it! What Are Your First Day of School Traditions? The 66th Emmy Awards ceremony is now complete. But why should people of television have all the fun? Shouldn't we all be presenting and receiving awards on a regular basis? By the end of this post, I think you will agree! I took a photo of this image on our television screen. The recipients, of course, would be my friends and family. For many awards, there would be more than one winner. ... By now the music would be playing, and I am just getting warmed up! This list could go on and on. I'm not suggesting we all invest in red carpets or designer evening wear; or even that a trophy is necessary. But, the Emmy Awards reminded me of the importance of recognition for achievement, and gratitude to those who have supported us. We should all try to express more of this for each other every day. For me, and I suspect almost everyone, the most touching part of the 2014 Emmy Awards was a tribute, not an award. For decades, Robin Williams has filled our screens and made us laugh. Last night, his image filled our hearts with loss - for a man gone much too soon, before his time. The gift of laughter which he gave to so many people was, in the end, the one thing he could not give himself. May his memory help spark better understanding of the illness of depression - and may someone, someday soon, receive a real award for the discovery of a perfect cure for this devastating disease. In the meantime, as we all strive to give more compliments, words of encouragement and gratitude - perhaps we could think of it as giving out "Williams" awards. I can almost here Robin chuckling, as we say, "And the Williams goes to ... ."
What other categories for recognition would you add to the ones I listed above? One day last week I looked out my front window. In my immediate field of vision was a deer. It was lying down and pulling up mouthful after mouthful of grass, chewing purposefully in-between each bite. This sibling of Bambi looked so content, munching as it lay on the soft green grass of our yard, in the shade of our house. To a deer - this is like having breakfast in bed! "Finally," I thought, "a deer that has figured out how to make us both happy!" Usually I am shooing the deer away, as they frequently demolish all of the leaves on our bushes and my flowers. But - watching this one, I wished I could communicate that it was more than welcome to this particular meal. It would be perfect if this deer invited all of its friends, and they all stuck solely to menu item of sod - and (of course) any weeds as well! They could all eat their fill, and we would have no need for our lawn mower. I wonder how many bites until the lawn is mowed? These deer are more than welcome to munch on our lawn - if they leave the plants alone! Hopefully these guys are contemplating getting started on this lawn. Soon enough, however, food will be scare. This makes it hard for me to turn visiting deer away, no matter what flowers or plants they want to eat. Would you be upset if deer ate your plants and flowers? My dog has always thought the best place to cool off is in the creek! I hope you find some time have fun and relax! When I saw the Words for Wednesday prompt for this week, an idea for a paragraph immediately formed in my mind. Not really a story, but a fictitious account of how I think a swimmer might feel before a race. 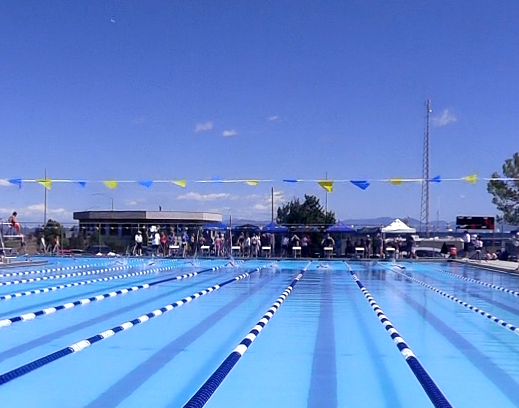 I am not a competitive swimmer, but I have been the parent of one for more than a dozen years. By osmosis, the sport has sort of crept into my pores. The following paragraph is not a remembered event; it is my cumulative observation of swimmers I have watched prepare for their races, in the many years since I became a swim mom. She left the shady spot where she had been resting, and walked behind the timers. Watching the swimmers in the pool, she removed her headphones and took off her shorts. Her racing suit was made by Speedo. Fortunately, she had always liked their kneeskin suits; to not wear their brand would be an infraction of the sponsorship rules in the contract her team had signed. Lane 4 had just come in. The field was spread wide; it would probably be another 30 seconds before the last swimmers of the heat before hers completed their mile swim. She propped a leg on the diving block and stretched, trying to get in her "zone" by pushing away other thoughts and just concentrating on the race ahead of her. Although this was just an Age-Group Classic meet, she had been feeling nervous. She really was hoping for a swimming scholarship, and she knew the coach from her first choice of colleges was on deck. She needed to swim an impressive race. The whistle blew. She mounted the block, took her mark, and dove in. The water enveloped her. Like precious cargo stored in her memory, her mind was packed with gratitude for everyone who had supported her dreams - and with the ambition of her goals. These thoughts fueled her kicks, as she swam - lap after lap after lap. I have a favorite recipe for Banana-Butterscotch Brownies. In an April blog post, I provided a link to an article I wrote about them, where I had included the recipe. Unfortunately, that article no longer exists on the web. The good news is, I can now share that information here. My family and friends love this recipe - and I think you will too! Pan of brownies ready to be packed for a canoe trip! It is fascinating how a recipe can become a family favorite. The first time I made these brownies, originally just called "Banana Brownies," it was because I had an abundance of overripe bananas. Years before I discovered this recipe, my grandmother gave me the National Grange Bicentennial Year Cookbook. "The Grange" is a National Fraternal organization, originally made up of farmers and was (according to the cookbook), the "very first organization of the country to give women an equal vote with men." My grandparents, dairy farmers, were faithful attendees of Pennsylvania Grange meetings; once or twice they invited me to accompany them. My cookbook invokes warm memories of my grandparents and of being proudly introduced to their friends. The original Banana Brownies recipe appears on page 188, and was submitted by Denise Smith, Sonora Grange, Grinnell, Iowa. My children always liked these brownies. Then, my niece came to Montana for a visit. We packed a picnic and took her canoeing on the Jefferson River. The cooler held an assortment of sandwiches, fruit and beverages - and these brownies. Eaten chilled, on a hot summer day in the middle of a pristine river, they tasted like pure perfection. Their name was changed that afternoon to "Canoe Trip Banana-Butterscotch Brownies." I frequently make them for family, friends, team dinners, large parties, and always, for when we go canoeing. Grease a 10x15 inch (jelly roll) pan. Using a wooden spoon or electric mixer, cream shortening and sugar in bowl. Blend in eggs and bananas. Stir in dry ingredients, then vanilla, nuts and butterscotch bits. Spoon this mixture into prepared pan. Bake, about 30 minutes, until lightly golden. Spread with Glaze. Cut into squares while warm. Using a fork, mix the following ingredients until smooth and pourable/spreadable. With my minor alterations to the original recipe (published in 1977), this recipe may become such a favorite of yours that you may also change its name! Resources: Smith, Denise. ""Banana Brownies"" National Grange Bicentennial Year Cookbook. Montgomery, AL: Favorite Recipes, [c.1976]. 188. Print. Have you ever renamed a recipe because of a good memory associated with it? This article was originally published on Yahoo Voices on February 21, 2014, but Yahoo Voices was shut down, and rights for this content reverted back to me. The Sunshine Award Makes Bloggers Glow! so does the Sunshine Award! 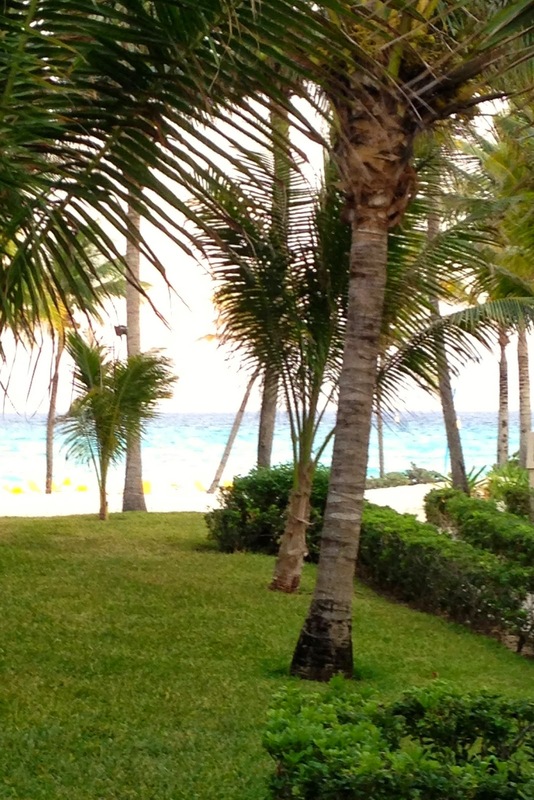 There's just something special about sunshine - especially in Jamaica! I asked for a rain check on the Sunshine Award! On July 24th, Marie from NormalEveryDay Life nominated me for The Sunshine Award. I was thrilled with the honor, but I asked if I could wait a few weeks to write the acceptance post. July and early August were busy enough already. She graciously agreed - and now I finally have time to accept the award! Before I say any more about the award, I need to tell you about Marie's blog. If you haven't paid a visit to Normal Everyday Life yet, you really should. Marie is a mother of five, and she blogs about motherhood and everyday life. 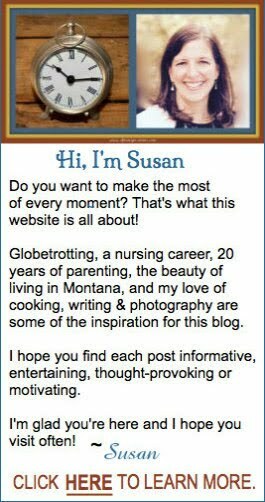 Her blog is easy to read, and her posts are always entertaining and informative. As Marie explained in her post linked above, when a blogger receives the Sunshine Award, he/she then passes it on to other bloggers by whom they have been inspired. Perhaps it is called the Sunshine Award because receiving recognition can make a person practically glow - as though bathed in sunshine! 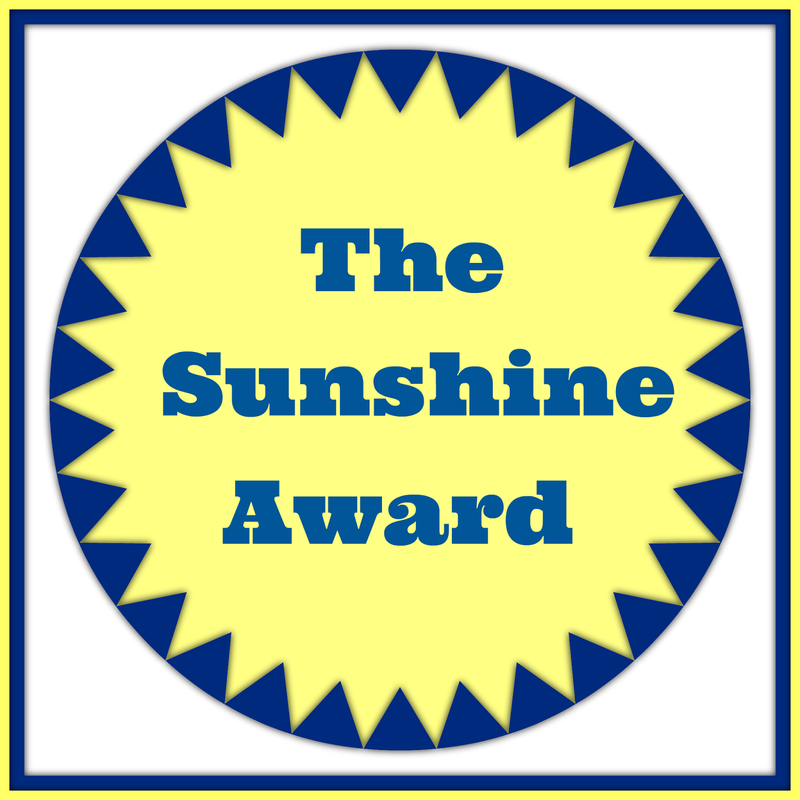 A Sunshine Award upon my blog - it looks so lovely! 5. Let them know they are nominated! So, here goes. You may notice that the steps necessary to accept this award are similar to that of the Liebster Award. I will try not to repeat myself! I am of below-average height. I have the ability to nap at any time of the day, ever since I worked night shift as a nurse. I live where temperatures are often below zero, F. - yet I really don't like cold weather. I love sunshine - which is why I like living where I do, as the sun comes out nearly every day. I once brought a baby chick home from elementary school, and I named him Eggbert. Neighbors adopted him when he got big, because the intention was always to have a chick, not a chicken! I hate to vacuum, more than any other household chore. I don't like hard boiled eggs. My eyes are brown, but they seem to be getting lighter as I get older?? I rode a school bus for nine years, then walked to high school. I may be the only person on the planet who cannot successfully grow zucchini! I had heard it was a good thing for a freelance writer to do, and I thought a blog would motivate me to write consistently. I had no idea of what I was getting into - or just what a good idea it really was! I was a night owl up until I had kids. Since I began to write, I have found myself staying up very late - and often still getting up early! An unanswerable question. I love many different types of books. Perhaps my favorite author is whomever I am reading at the time. It has always been ice cream! I used to watch ER and West Wing, but when those series ended, I stopped watching television. I will occasionally watch a show just to be with my family, and I do enjoy movies, but like to spend my time in other ways. 1. Write a novel. 2. Organize our photo collection. 3. Clean out my closet. With a good book! Floating on water with a good book or with family is the ultra-perfect way. What's your favorite post on your blog and why? Another hard question. I have had a lot of fun writing fiction short stories, including my latest, The Papalo Cure. I don't really have a favorite, but I was very happy when my post on 7-8-14, The Best Excuse Ever, was selected to be featured on BlogHer. Do you enjoy appetizers or dessert more? Tough choice! I love them both - usually more than the entree! It has always been summer - I love to be warm and I love sunshine! I have so many favorites - it was hard to only pick eleven! I narrowed it down a bit by deciding to only name bloggers I have not previously featured or nominated for other things. 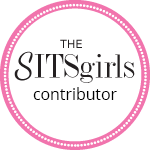 These bloggers have helped me to make my blog better in some way - either by their blog content, blogging events they have hosted, and/or by commenting on my posts - some of which were the very first comments my blog received! Note: Some nominees may have already received this award, and not everyone will choose to accept this award for a variety of reasons. I completely understand, and I hope none feel obligated to do so - I simply wanted to let them know I appreciate what they have done for me. Many thanks to all the bloggers mentioned above, and to Marie for selecting me to receive this award! 1. How long have you been a blogger? 2. If you could give a million dollars to a charity, which one would you choose? 4. What is the last book that you read, or you are currently reading? 6. Have you ever had a surprise party? Would you like to? 8. How much time do you spend working on your blog? 9. How much of the time spent on your blog is when you are actually writing posts? 10. What percentage of blogging time is spent on reading other blogs, commenting and replying to comments? 11. How much time do you spent promoting your blog? 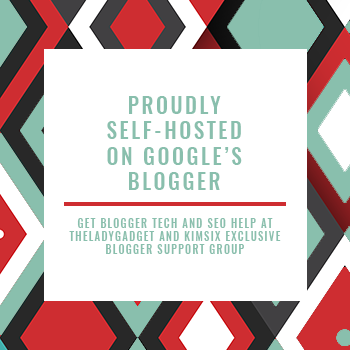 What is your favorite type of blog to visit? A few weeks ago I began using the Words for Wednesday Challenge from Delores at Under the Porch Light to create a story, The Papalo Cure. Readers commented, requesting to know what happened to Grandpa after Maria got on the bus to South Dakota. I didn't know! The plot of this story is being directed by the weekly Words for Wednesday word prompt! Using the prompts, I have been adding to the story - and even I am surprised by the turns it has taken. Today, I am publishing the final chapter of this story. This week’s chapter can be read without background information, but I recommend reading the proceeding parts of this series first. Links for each previous chapter were supplied yesterday in my post, Cliff Hanger, and are also available on my FICTION page. This week's challenge words are listed at the end of this chapter and highlighted in bold in the story. "I can barely breathe, I am so anxious," Maria said to Mateo. They were in a conference room of the Hilton Hotel, waiting for a representative from the oil and gas company to arrive for the meeting that had been scheduled. There was a knock at the door, and a beautiful young woman walked in. She extended her hand, greeting first Maria and then Mateo. "My name is Julia. I have been working with your grandfather, Mr. Bedoya, regarding the purchase of his property by my company, PetroNation Oil and Gas. I understand you have some questions, which I may or may not be able to answer. Maria said, "My grandfather has been ill, and we have been unable to discuss this matter with him. You might be surprised to learn that the farm does not belong to my grandfather - but is the property of my grandmother, Mrs. Bedoya. She signed a document stating that she sent us as her representatives and empowering us to make decisions on her behalf. She would like to stop the sale of the farm. It has been in her family for generations - and she has no intention of losing it now." Maria finished speaking, and grimly took the letter from her grandmother out of her purse and shoved it towards Julia. Julia said, "I think we should all sit down. Mr. Bedoya warned me that this sale was likely to stir up quite a tempest. He expected to be able to calm things down; but, he knew he was sick and he worried questions might arise while he was hospitalized. Your grandfather instructed me what to tell you, in the case that he could not. Let me explain." Julia paused briefly, gathering her thoughts. "Your grandfather is devoted to your grandmother. I have never witnessed love quite like it. He was willing to make himself appear a villain, to spare her embarrassment. He cares a lot about you both as well. I assume his plot to repair your rocky relationship worked, or you would not be here together." Rising abruptly from his chair, Mateo accidentally knocked over his water glass, and the liquid formed a lake in the center of the table. "Maria, this sounds like a scam," he said through clenched teeth. "I think we should go." "Perhaps, Mateo," said Maria. "But we have come so far - let's just hear her out." Mateo crossed his arms and remained standing, but agreed. Julia continued. "Your grandfather, Mr. Bedoya, contacted my firm about a year ago. He asked us to do some surveying to see if there might be obtainable oil or gas on his farm. PetroNation has an oil well nearby which is producing copiously, so the farm does interest us. My job was to negotiate a fair price, and your grandfather and I had many conversations. It was obviously very hard for him to sell the farm, which seemed odd to me as he initiated the sale. During one conversation, he seemed so sad, I asked if he wanted to talk about it. His motives - and his anguish became clear. "Your grandfather first made sure I understood what a remarkable woman your grandmother is, but then he told me that she has developed a gambling problem. She racked up a lot --"
"NO" - Mateo said forcefully, "it was my grandfather who gambled." "-- of debt," Julia continued. "Please let me finish Mateo, and then you can decide what is true. Your grandmother kept her gambling obsession hidden for quite some time - she had incurred a huge debt before your grandfather discovered it. He spoke with her about selling the farm here in Mexico to pay the bills, but she refused. Selling the farm and declaring bankruptcy are their only alternatives, however - and in either case they might lose the farm anyway. Grandpa began the negotiations, hoping he could convince your grandmother that it was the right thing to do. "When your grandfather realized he was sick, he called and asked me to check to see if the herb papalo still grew on the farm. He explained to me about the rift between you two, and he came up with the plan of asking Maria to bring him papalo. He was convinced that if you came to South Dakota Maria, and saw Mateo at the hospital, you could mend your differences. Apparently that plan, at least, has worked." "He never even believed papalo would make him better?" Maria asked. She was so stunned by all that Julia had just said, she couldn't even decide if she should be angry. "I bet he even knew I had substituted watercress for the papalo, and just pretended that he was fooled. My plants had all wilted - it must have been just after you checked the garden for papalo Julia, that the sprinkler broke! I can't believe this! "But - I guess I do feel sort of badly. We both just assumed it was Grandpa who had the gambling problem Mateo heard our grandparents arguing about! Why would Grandma tell us he was the gambler though? That's so mean that she was willing to let us think that about him!" Julia replied, "She probably felt like she needed to tell you the partial truth. Perhaps she was afraid if you knew it was her mistakes that had put the farm in jeopardy, you would not help her to stop the sale. She probably assumed her husband would forgive her for the lie, but she might lose you both because of her mistakes." Mateo had been absently patting at the water on the table with some napkins. Suddenly, he spoke. "Julia, you seem like a nice person, and I can't think of anything that would have motivated you to make all this up. So, I am going to believe you. It appears my grandparents have both deceived us - my grandfather out of loyalty to my grandmother; my grandmother because she wanted us on her side to prevent the sale of the farm. Thank you for sharing this information with us. Now that we have the facts, perhaps the right decision can be made. Would you mind answering a few questions for me though?" "What sort of questions?" asked Julia. "Did my grandfather ever tell you how much my grandmother owes?" "No, he never did," said Maria. Mateo continued, "The detective I hired had been told that the appraisal value of the farm is gargantuan. I am wondering if it would be necessary to sell the entire farm, or would we be able to subdivide? If we sold just a portion of the property, would it be enough to cover Grandmother's debt? Perhaps these are questions to ask of my grandparents - not you. But - if it turns out the value of just a portion of the property is equivalent to her debt, would your company consider a partial sale?" It would be preferable if we could keep the section upon which the house and barns are located. What is the likelihood of that?" Julia said, "Your family needs to do a lot of talking! I don't have a lot of answers to your questions, but I have some. Although it was rumored that we plan to drill right where the house sits, those rumors are unfounded. No decisions have yet been as to an optimal drilling site." "Also," continued Julia, "my company had the property appraised. I know what it is worth, and I find it highly doubtful that your grandmother could have gambled enough to lose such a huge sum. I suspect that even if you kept the land around the buildings - and even some in addition to that - your grandparents would have ample money from a sale of the rest to pay her debts. I can't make promises, but I am pretty persuasive in my company, and I think I could rework the agreement." "Which would mean ...," said Mateo, then paused and smiled at Maria. "... that you would still have a home in Mexico, and not have to return to the comparatively boreal conditions of South Dakota! Grandma could forgive Grandpa for selling the farm, and no one would else needs to know she incurred such a huge debt. I even know a good addiction program she can enroll in, so it doesn't happen again." Maria suddenly thought of something, "Wait! What about what Grandma told us - about how Grandpa accused Grandma of wanting to see Pablo,her first love again. Can you explain that, Julia?" "Just smoke and mirrors," Julia said. Mr. Bedoya told me he felt badly about that conversation, but it was the only way he could think of to prevent his wife from visiting Maria in Mexico - and possibly spoiling the deal he was trying to make with us. He knew she would never agree to it, and didn't know how else to pay off her debt." "When Grandma learned about the sale, she figured out that was why Grandpa had voiced concerns about Pablo," Mateo said. - "She also suspected Grandpa of using papalo to lure Maria to South Dakota. Such a clever lady - no wonder she did so well gambling!" "Mateo, don't talk like that!" Maria looked stern, but then she smiled. "I'm so excited to tell Tomas I'm still going to have a place to live in Mexico. I think it is time to call Grandma. She is expecting me to call her this morning, to update her and check on Grandpa's progress. If Grandpa is feeling better, perhaps we can tell them both what we now know, and explain our solution to their problem." Exiting the room, Maria asked over her shoulder, "Coming Mateo?" "In a bit." Mateo smiled warmly at Julia. "It seems I really misjudged you initially. Can I invite you to lunch, and attempt to show you a better side of my own character?" "Actually, Julia said. "I would like that." The end ... or the beginning. What do you think - did they all live happily ever after? Edit to post: In the line which begins "--of debt," there was an error as to whom was speaking. It is Julia, and this had now been corrected. My apologies for any confusion this caused before it was corrected! Row, row, row your rowboat! Farewell Yahoo Contributor Network - R.I.P.